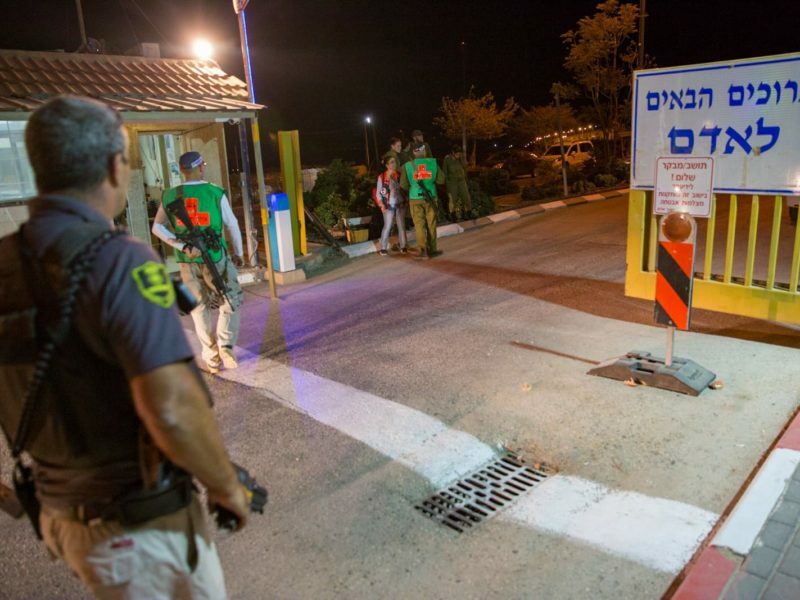 21:00 A Palestinian stabbed and seriously wounded two people after entering a house in the community of Adam, some five kilometers north-east of Jerusalem. According to initial reports, the Palestinian terrorist was shot dead by armed residents who rushed to the scene after hearing screams. 21:08 An IDF spokesman said three people were hurt in the incident. 21:11 One of the wounded is reported to be in critical condition. 21:16 A spokesman for the United Hatzalah ambulance service said one victim in his 50s is in critical condition and undergoing CPR on his way to hospital, while another in his 30s is in serious but stable condition. Both victims suffered stab wounds to their upper bodies. A third was lightly injured and is being treated at the scene. 23:00 The terrorist has been named as Mohammed Tarik Youssef, 17, from the Palestinian village of Kobar near Ramallah. On July 21, 2017, a Palestinian terrorist from Kobar stabbed three members of the Salomon family to death in the nearby Jewish community of Neve Tzuf.